Laxmi, a single mother, struggled to pay for her 6-year-old son, Vineet's treatment. Vineet had a head injury and needed long-term care. Laxmi's appeal to the public on Milaap raised treatment expenses for 6 months in 6 days. Vineet received the treatment he needed at Apollo, Bhubaneswar for 5 months. Unfortunately, despite the best efforts, Vineet passed away earlier in August. When Laxmi heard about Avishi, she reached out to us and expressed the desire to support it. She shared the below message with us. "The struggle of Abhisek and Shikha is what I went through. When a treatment can cure your kid but you cannot make it happen for lack of money, the feeling cripples you. I would have never been able to arrange funds for Vineet's treatment if not for the timely support of 974 wonderful supporters. I request you to please come forward to support Avishi. We know what can cure her. Let's all come together and get her treatment started. You gave my son a chance, this daughter deserves one too." To help Avishi's parents reach the goal faster, Laxmi has come forward to use the surplus funds worth INR 10 lakhs for Avishi's treatment. Contribute and spread the word to support Avishi. Thank you for being YOU! With mixed feelings, I share that your support means so much, not only to Avishi but to the HOPE we are creating for so many parents and their kids born with MPS 6, that nothing is impossible in this world. We have reached the INR 30 lakhs mark in 3 days because of your love & support from all over the world; which brings so much energy to not lose hope and keep working together. Thank you for the overwhelming support! Every child deserves the gift of life. 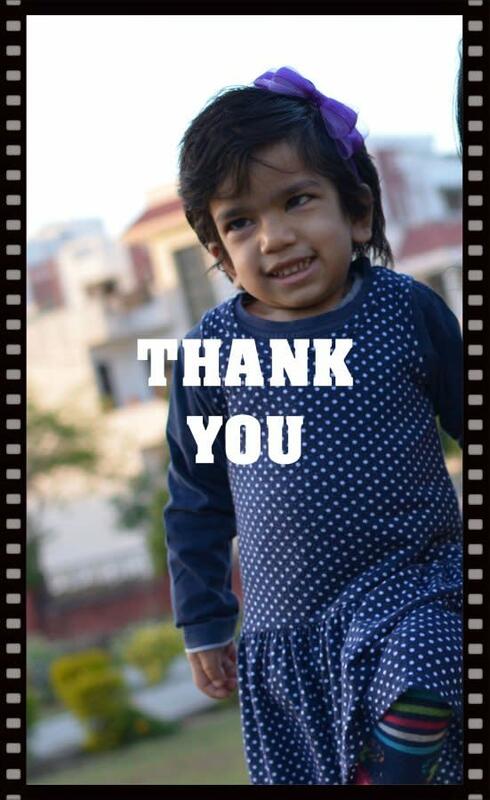 Your generosity is making an immediate difference in the life of Avishi and getting her the right treatment. From the bottom of my heart, I am grateful for your kindness and tremendous support. Please continue to spread the word and help me save my daughter.